Experience the amazing culture and lifestyle of Vietnam! IVI have a range of meaningful projects that will help you connect with like minded people from all over the world while helping to support local communities. 1 Application Fee - Multiple Countries/Placements! Vietnam’s history is one of war, colonization and rebellion. Less than forty years since the savagery and slaughter of the American War, this resilient nation is buoyant with hope. Few countries have changed so much over such a short time as Vietnam. 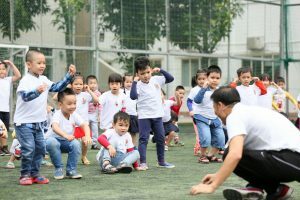 The speed with which Vietnam’s population has been able to put the bitter events of its recent past behind it, and focus its gaze on the booming future is incredible. However, there are broad regional variations in the distribution of poverty. The regions with the highest relative poverty rates include the north-west, north-central, central highlands, central coast and north-east. But in terms of absolute numbers, more poor people live in the north-central and north-east regions, in the Mekong Delta and central coastal regions, which are home to seven out of 10 of Vietnam’s poor people. 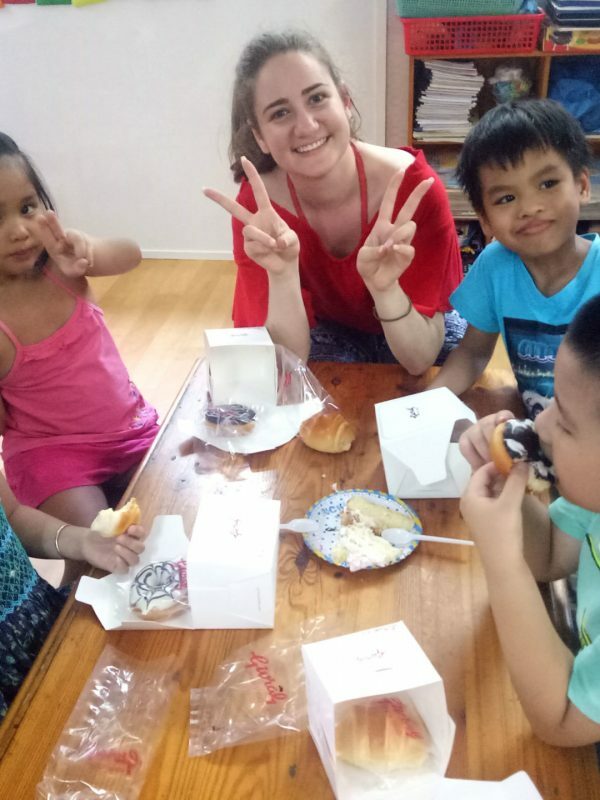 Volunteers have the opportunity to work in medical institutions caring for children and young people affected by Agent Orange, or in schools and community clinics looking after mentally disabled children. Volunteer work is varied and dependent on the institution where the volunteer is placed. 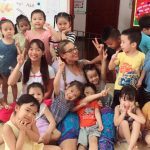 Our programs are situated in either bustling cultural Ho Chi Minh City (formerly Saigon) or the laid back beachy small town of Phan Thiet Vietnam. Ho Chi Minh City (formerly Saigon) is home to some 6 million people, most of whom you will see at some point during your stay as they whiz around town on their motorbikes. The city’s Tan Son Nhat Airport lies 7km north west of the city centre and is the most popular arrival point in Vietnam for international travellers. As well as long haul arrivals there are many flights to HCMC from within Asia, especially from Bangkok and Hong Kong. Phan Thiet, is beach town and relatively undisturbed fishing area which is also the capital of the Binh Thuan province. 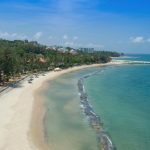 Located approx 175km’s north of Ho Chi Minh, the city encompasses 57km’s of coastline with heaps of different beaches, local markets, cultural sites, restaurants and night life. 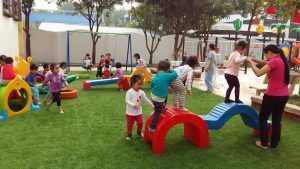 It’s an interesting destination for international visitors seeking a more local experience as the area is geared mostly to Vietnamese tourism. As with many rural towns and cities there are many needs in the areas of poverty management, english teaching, infrastructure works, food kitchens etc and volunteers play a key role in this regard. All accommodation and meals are included in the cost of the programs. All volunteers are expected to be environmentally aware and to use all resources with restraint, especially water, paper and electricity. You will be expected to clean up after yourself, and to play your part to keep the accommodation neat and organized. 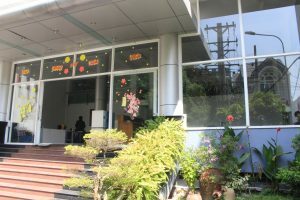 In Ho Chi Minh City, the accommodation is in a volunteer centre which is located on a college campus. You will share the rooms with fellow participants, but be in close proximity with local students. 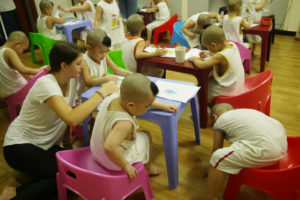 This allows a really nice cultural exchange and bonding. Rooms are dorm-style with 4-6 people per room. Rooms are well equipped with air conditioning, and fans and good sized single gender bathrooms, clean and functional. Internet access is available at the accommodation and there are various internet cafe’s nearby. In Phan Thiet, the accommodation is comfortable and clean and situated on a university campus and also very close to the beach! The large rooms sleep up to 6 volunteers per room and with air conditioning, fans, hot water, bed linen, laundry facilities and private separate gender bathrooms & showers. WIFI is included in the cost but please note the quality can depend on local weather conditions. Many volunteers opt to buy a local data SIM for use in their devices. It is also located close to a local supermarket, restaurants and beaches. 3 good meals are provided every day on every program. 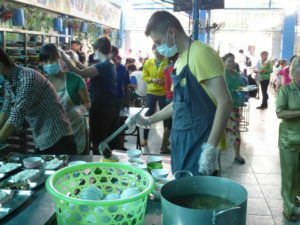 Meals are served at the volunteer center during the week. Breakfast and dinner only are served during the weekends. Bottled water is readily available in Vietnam and volunteers should budget approximately US$1 per day. There is also filtered water available at the accommodation. 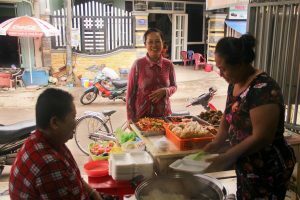 Rice is the staple food in the Vietnamese diet, present at all main meals, closely followed by the condiment added to most dishes: ‘nuoc mam’. This is made from salt and well fermented fish. 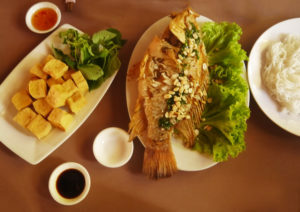 You will be eating the local Vietnamese dishes which is known for it’s lively, fresh flavors and artfully composed meals. 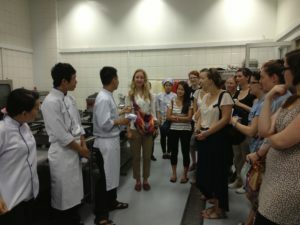 Vietnamese food and cooking is the true ‘light cuisine’ of Asia. Abundant fresh herbs and greens, delicate soups and stir-fries, and well-seasoned grilled food. 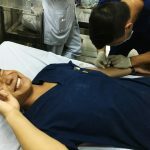 Troughout your stay, you will have the support and guidance of our dedicated ground operators & coordinators in Vietnam who have been hosting volunteers for over 15 years. 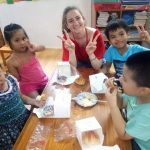 They will provide you with competent assistance and in depth knowledge about Vietnam, the local challenges and how you can make the most from your volunteering experience. There goal is to ensure you’ve had an unforgettable trip and been able to make a difference. We will also provide you with a 24 hour emergency telephone number so that you can always reach a member of our ground operator team in the event of an emergency. 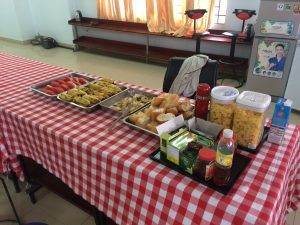 In Ho Chi Minh, volunteers are encouraged to take up the 1 week introduction to Vietnam to ease you into the lifestyle and get to know the city and it’s facilities and everything required to make your stay comfortable. These start on every 1st and 3rd Monday of every month. 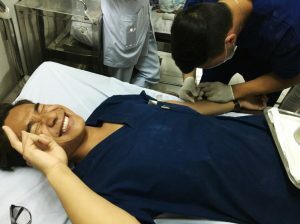 You may choose after the first few days to move straight into your chosen volunteer placement. If you prefer to move straight into your volunteer without the orientation week, you’ll still have plenty of support. When you first arrive you may have to spend one or two days with the program coordinator aligning you strengths and interests within your chosen program. From there, you will need to ensure you are taking into account factors such as local customs, business practices and resources available and to keep an open and positive mind. A free arrival airport transfer is provided only on the Saturday and Sunday before your program begins. A transfer coordinator will meet you at the airport upon your arrival and arrange your transfer from the airport. He will be awaiting you at the arrival section with you name. From here he will take you to your accommodation. Volunteers arriving before the weekend or by land, are required to meet at our meeting point. All this information will be provided in the program pack prior to departure. You are welcome to come with a group, with a friend, with family or own your own. If you are coming on your own don’t worry you will make lots of great friends! 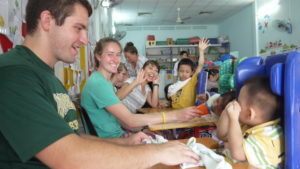 Vietnam is a popular destination and you can expect to meet many like minded volunteers. Generally, volunteers must be 18 years of age, however we can cater to as young as 16 years old depending on the application There is no upper age limit. Volunteering is becoming increasingly popular with many mature guests, some of retirement age looking to give back to developing communities. 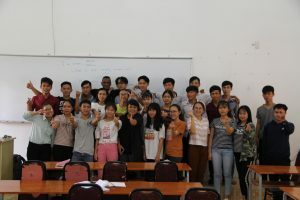 Vietnam volunteers have to be resourceful, have a lot of initiative and be able to provide their own direction. Our programs are designed for proactive individuals with a mindset of supporting the less fortunate. 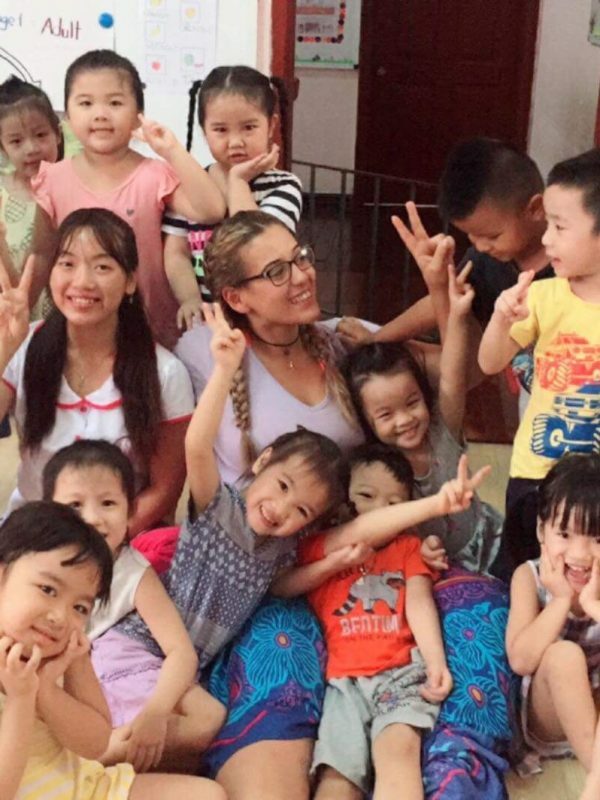 When volunteering in Vietnam, the more you put in, the more you will get out. 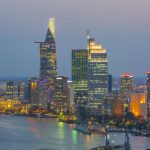 A high degree of patience and understanding is also necessary as it’s likely that in Vietnam conditions will be very different to your home country. The volunteer working week is generally Monday to Friday from 9:00am – 4:00pm with weekends free to relax and explore your local surrounds. Our ground operators will help you organize additional trips with special (non tourist) rates which can be paid directly in local currency. 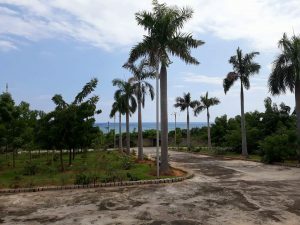 Coco Beach – 8 kms outside of La Gi by taxi, is a local hangout for young adults with beach parties in the evenings, bonfires and camping or simply relaxing on the beach. Mui Ne – 80 kilometers from La Gi, it is a famous town known for its beaches and endless sand dunes. Mui Ne is on every traveler’s bucket list while in Vietnam for its vibe, its incredible landscapes and its sandboarding opportunities. Dalat – A bit further afield than the rest but still reachable from La Gi (213 kilometers away). Dalat is another must in Vietnam. Known as “the city of love”. It is so beautiful that, during the Colonial times, the French dubbed it their favorite destination in the country. The town is filled with pagodas, French architecture, flower gardens and even a “Crazy House”, a gallery, hostel and coffee shop that was built to look like a tree. Aside from enjoying the city, you can also head out of town to numerous waterfalls and stunning nature. GoGetFunding is a Crowd funding site which offers a simple and professional online fundraising solution to help fund a portion of your trip or even a donation toward your chosen project. Simply create a fundraising page to share your story via social media platforms such as facebook & twitter. Some of our past volunteers have raised over $2000+! Why not give it a try? If you use the above link, our logo will be displayed in your profile to help us share our message through your social network community. Discounted travel deals & flight layby options!